TWICE is officially the fastest K-pop girl group to reach 40 million views after releasing their MV for ‘Likey’! Fresh off their latest album Twicetagram, here are 9 moments from the MV that we totally heart (like). Filmed in Vancouver, TWICE’s ‘Likey’ MV has no shortage of Instagram-worthy backdrops, stunning visuals and #WardrobeGoals. And with its peppy bubblegum pop beat, it’s no wonder this song has helped the powerhouse girl group break YouTube records in only six days and 17 hours – we recap our favourite MV moments! ‘Likey’ starts out with Jihyo throwing her ’90s inspired locker open and fishing out a camcorder, giving us an ironic blast to the past considering the song’s all about smiling for the cam and pressing hearts – you know, millennial-type things. Showing us a glimpse of an average day in TWICEland, this scene has a ‘home video’ treatment that makes our favourite girls that much more relatable. You see Sana dancing around goofily, Tzuyu giving aegyo and even a peek of Mina feeding fowl friends. Ah, we likey. ‘Likey’ has TWICE singing about dolling up with BB cream and lip stick (not that they need it), but here we see Momo getting a ‘makeover’, courtesy of her mischievous group mates. A pencil here, a plastic tiara there… Voila! She’s ready to impress her date. Making use of the camcorder once again, the girls set forth filming their very own dance routine in a way that’s probably very familiar to all the K-pop dance cover fans. We’re talking handheld, alternating angles and perfectly synchronised beats – TWICE is so ready for their closeup! TWICE has become famous for their ‘TT’ move, and the girls have incorporated yet another letter: ‘L’, presumably for ‘Likey’ along with it, ensuring that dance-challenged fans can bop easily along to their moves. Plus, we totally adore the pastel basketball-themed area that the girls are dancing in! The 2017’s take on Audrey Hepburn’s iconic Breakfast at Tiffany’s scene, we see Jungyeon nonchalantly skating by (as she had been doing all over town), only to stop short when something in the storefront catches her eye. Only fellow shopaholics will understand that electrifying feeling of spotting the perfect dress! Who says TWICE is all sugar and no spice? ‘Likey’ showed off the girls’ rapping talents and added an extra edge to the synth-pop laden tune – we have no idea how TWICE managed to deliver ‘dem rhymes while still looking super cute while at it. Fans have showered praise on Momo for her ‘Likey’ dance solo and we’re cheering on with them! But what else can we expect from the member who helped create this sizzling dance routine? Dabbing is a move that honestly belongs back in 2016, but Dahyun’s effortless move (while flanked by the rest of the TWICE members) has us wondering if it’s officially cool again. Congratulations to TWICE and ONCEs for breaking the YouTube record! What are your favourite songs off TWICE’s discography? Tell us in the comment section! Just when you thought 2017 couldn’t get any better for avid concertgoers, November welcomes yet another massive lineup of fresh faces to support and new gigs to attend. From Ed Sheeran to Harry Styles, SHINee to Red Velvet, get ready to snap up those tickets! 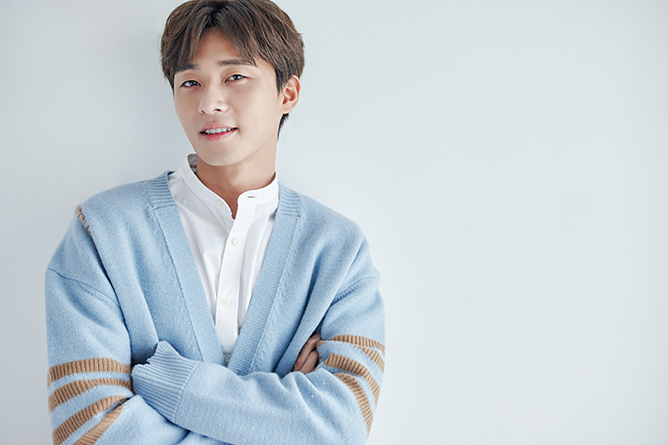 With a slew of hit K-dramas under his belt, the Fight For My Way actor is undeniably the heartthrob of the moment. And if you’re reading this as of 3 November, chances are you’re already breathing the same air as oppa! Fans are in for a treat during the fanmeeting as you’ll not only be blessed by his glorious vocals, but also get the chance to get upclose and personal with the man himself. Power to the ladies! 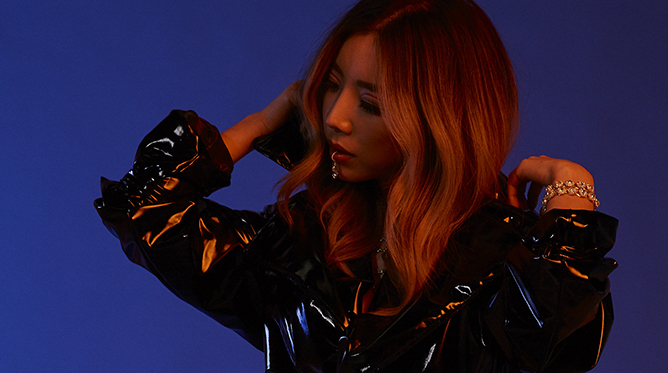 Hot on the heels of her latest EP Lune Rogue, Cali-based femme DJ TOKiMONSTA (also known as Jennier Lee) is set to bring her sultry blend of moonlit music to the Overeasy decks, alongside all-girls collective ATTAGIRL. 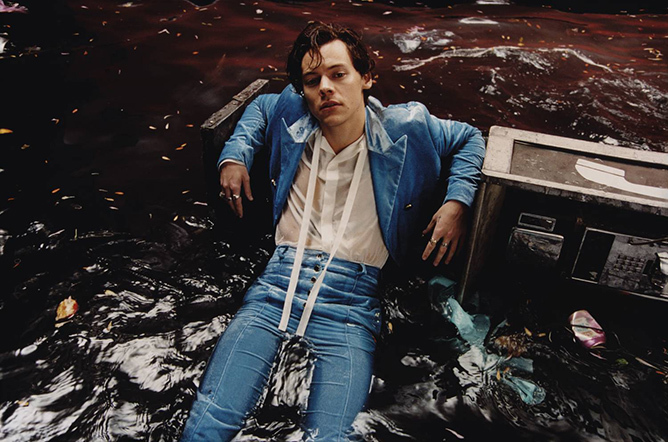 We all know that the Brit crooner adores his fans – from stopping his London gig midway to help a fan who was having a panic attack, to standing up for the LGBTQ community at the San Francisco stop, it’s safe to say that attending a Harry Styles concert will truly be one for the memories, and we’re sure the former 1D member’s upcoming show in Singapore is no exception. 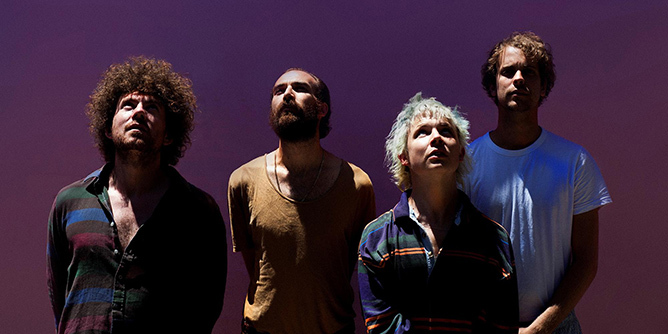 If indie pop is more your thing, you’ll certainly dig this long-awaited set from POND – think psychedelic synths, melancholic guitar riffs and brooding lyricism off their seventh LP The Weather. Homegrown musician The Analog Girl will be joining the Aussie rockers onstage. When you’ve got an indie outfit that knocks even K-pop powerhouses like Girls’ Generation and BIGBANG off the charts, you know their stuff is pretty legit. 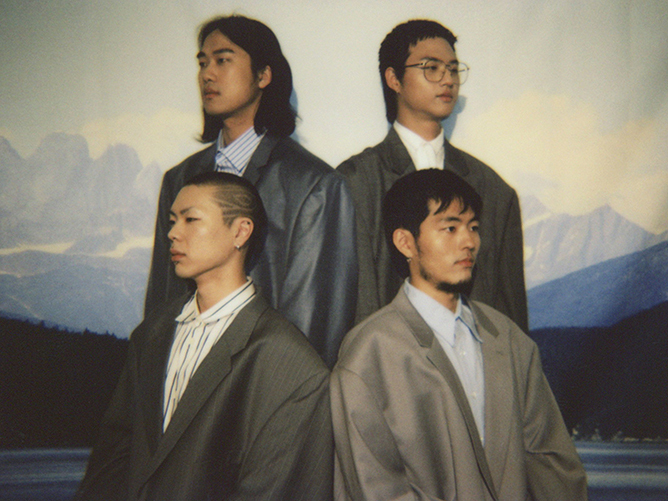 And we’re calling it: if you haven’t already heard of ’em, HYUKOH’s gonna be your new favourite K-band. Soak up their infectious surf-rock tunes live in concert, and you’ll see what we mean. Couldn’t get enough of SHINee and Red Velvet during their last visit for the Music Bank world tour back in August? 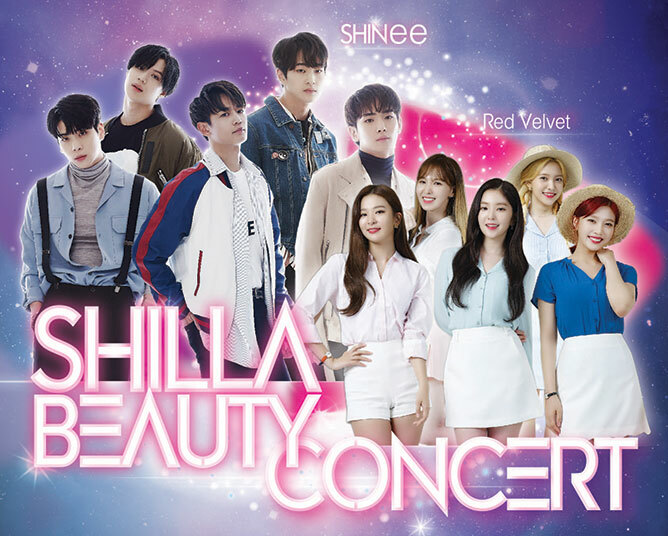 Fortunately, Shawols and ReVeluvs won’t have to wait long as the two SM groups will be heading back for a one-night-only concert on the 24th. Psst… if you’ve yet to get your tickets, we have a giveaway coming right up so keep a lookout for that! 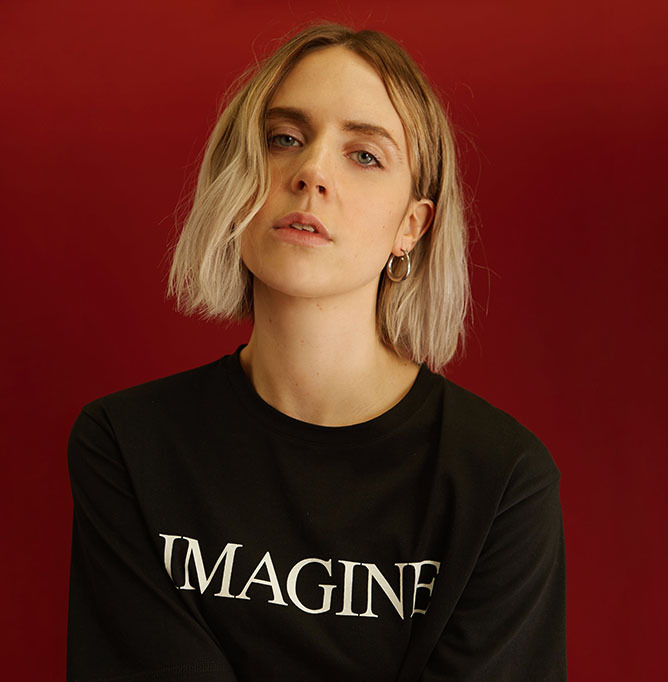 You probably know her name from the chart-topping collaboration of ‘Cold Water’ featuring Justin Bieber and Major Lazer, but the Danish singer-songwriter proves that she can hold her own just as well. Don’t miss the indie darling’s first ever show in Singapore as she brings the Zouk roof down with her unique brand of electropop. 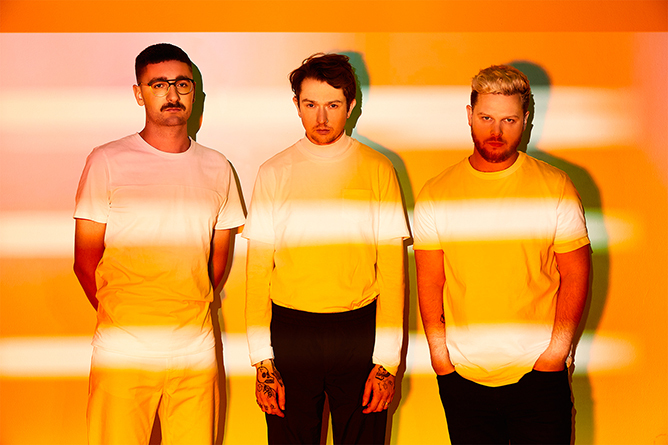 Following a successful performance at The Coliseum in 2015, it’s about time the English indie trio makes their way back to our alt-J-lovin’ shores. Expect a dizzying night of eargasmic ditties and thematic stylings off their ambitious third studio album Relaxer. But hey, don’t be too dejected if you can’t make it to these events – we’ll be dishing out live updates on our socials so be sure to follow @TeenageMagazine on Instagram and Twitter! 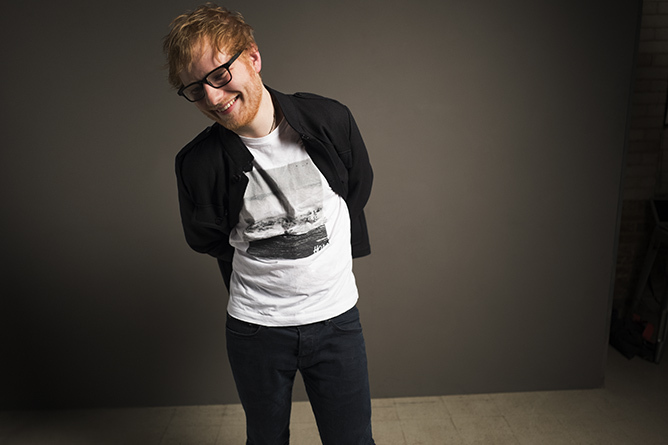 More related stories: Here Are All The Buzzing Events You Can Attend This November!, Great News, Ed Sheeran’s Shows In Singapore Will Go On As Scheduled!, Guess What? Park Seo Jun Is Coming To Singapore In November! Heads up: The Weeknd and Selena Gomez have called it quits, and Justin Bieber is officially back in the ‘Wolves’ singer’s life. It’s been a confusing week for fans of Justin Bieber, Selena Gomez and The Weeknd. The latter pair reportedly broke off their 10-month relationship a few days before media reports of Justin and Selena’s friendly reconciliation started streaming in. The exes have since been spotted together on numerous occasions this week, from going to brunch to taking cosy bike rides and showing up at JB’s hockey game together. And according to US Weekly, #Jelena is definitely a thing now. Sel’s friends aren’t the only ones who want the Disney alum to stay on her toes. 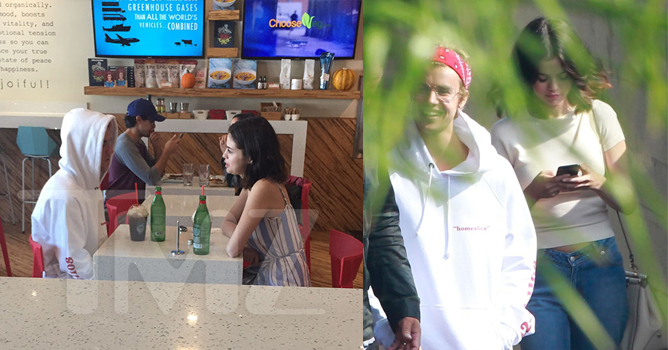 While Selena, Justin and even The Weeknd has stayed mum on the situation, netizens have had a mixed bag of reactions to Justin and Selena’s reunion, ranging from cracking “Call Dua Lipa!” jokes to straight up reactivating the #Jelena ship that died along with their (what seemed like the final) breakup three years ago. "hey do you ship jelena?" Are you riding on the Jelena ship? Share your thoughts with us in the comment section! It's Official: Beyoncé Is Playing Nala In The Lion King! The Lion King fans and the Beyhive have much to look forward to, because Queen Bey has officially confirmed her role as Nala in the film’s live-action adaptation! From Alice in Wonderland to Beauty and the Beast to Maleficent, Disney isn’t slowing down on its trend of turning its beloved animated classics into blockbuster adaptations. And The Lion King is up for its very own remake, with none other than the talented Jon Favreau (the director behind The Jungle Book) at its helm, and an exciting cast of A-listers to boot. After the full cast list was revealed on social media by Beyoncé and Disney respectively, fans couldn’t hold their excitement for the upcoming production – as if we could blame them. The cast includes Queen Bey (Nala), Donald Glover (Simba), Chiwetel Ejiofor (Scar), James Earl Jones (Mufasa), Seth Rogen (Pumbaa), Billy Eichner (Timon) John Oliver (Zazu) and more industry heavyweights. And as if it weren’t mindblowing that Queen Bey is stepping out as the Queen of Pride Rock, wrap your minds around the fact that Childish Gambino is set to be the Lion King himself, and James Earl Jones is reprising the same role as the original and ONLY Mufasa, over two decades later! We can’t wait for The Lion King’s release on 19 July 2019! 10 Movies To Watch This November! Feel-good flicks, random thrillers and Jack Neo’s popular Ah Boys To Men series – here are all the movies coming to theatres near you this November! We all know and love the Winnie the Pooh series, but how well do we know the man behind everyone’s favourite fictional teddy bear? After surviving the First World War, renowned children’s author A.A. Milne has been dealing with post-traumatic stress disorder and struggling to live up to the expectations of the books. Seeking refuge in the countryside with his family, he soon finds inspiration for the Winnie the Pooh tales through the eyes of his young son. A photojournalist and a surgeon are left stranded on a snowy mountain after a tragic plane crash. With no signs of civilisation and a shortage of supplies, the two strangers have to work together to survive the extreme weather. As they trudge across the miles of icy terrains hand-in-hand, an unexpected romance blooms between them… but will they overcome the mountain together? Overworked and under-appreciated, the motley crew of unconventional mums find themselves rebelling against the unrealistic rules and expectations set by society as they face the Superbowl event of every mum’s life: Christmas. Even more challenging? They have to do it all while hosting their own set of equally critical mothers. Yikes! “Reservist loh!” No longer the ‘chao’ Ah Boys we once knew, Sergeant Ong, Wayang King and gang are all grown up and busy with their own lives – until they get called back for army duties. Our favourite recruits find their military roles hilariously reversed and a new female soldier introduced into their comedic band of brothers. But with an actual threat impending, can their brotherhood stand up to the test? Amongst the brutal landscape of the United States, a Native American teenage girl is left dead, cold and buried in snow. Suddenly everyone in the sparsely-populated town is a suspect. Spurred by the loss of his own daughter, wildlife officer Cory teams up with FBI agent Natalie in hopes of solving the murder. Will the intense pursuit bring justice to the dead, or will the new partners find themselves becoming part of the mystery? Hell on Earth”, it’s up to our favourite team of superheroes to save the world from disaster. Based on a true story, Emma Stone and Steve Carell take centre stage as Billie Jean King and Bobby Riggs in the epic 1973 tennis match between the world’s top tennis player and the gambling addict ex-champ. Battle of the Sexes explores the gender inequality both on and off the tennis courts, and the personal lives and struggles of those swept up in it, as they prepare for a match that would eventually become one of the most-watched televised sports events in history with over 90 million viewers around the world. The second part to 2014’s Iceman, this action-packed flick sees Ming Dynasty officer, He Ying (Donnie Yen) continue his 400-year-old quest of clearing his name while trying to navigate modern day Hong Kong. A lonely, special-needs-boy befriends his reflection in an antique mirror. His new ‘friend’ turns out to be a demonic entity which orders the boy to commit sadistic murders on his loved ones. A film adaptation of Agatha Christie’s iconic 1934 novel of the same name, the movie follows famed detective Hercule Poirot as he boards the legendary Orient Express. What starts out as a mini break becomes a murder-mystery nightmare after a passenger is stabbed to death on the train. The time is ticking as Hercule races to uncover the real killer and their sinister motive before they strike again. What movies will you be watching this November? Share your must-watch flick in the comment section!